Duracell is high-quality batteries that you can use for various gadgets and devices. Our massive community of bargain hunters has gathered the best cheap Duracell offers, deals, and voucher codes. Get big discount rates against the regular price of the items that you want to buy. 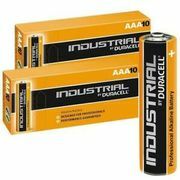 You can purchase Duracell batteries at Morrisons, Amazon, Superdrug, and other UK sellers. You can get as much as 45% discount on your purchases. 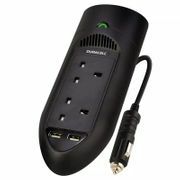 Here at Latest Deals, you will find the Duracell batteries that you are looking for easily and at very reasonable rates. 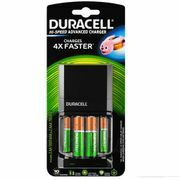 Find the latest Duracell deals and discount codes in the UK! Duracell Inc. is owned by Berkshire Hathaway. It is a company that makes smart power systems and batteries. The company was formed by Samuel Ruben and Philip Mallory in the 1920’s. Because of a number of acquisitions and mergers the company became a property of Procter & Gamble. They then agreed to sell the company to Berkshire Hathaway in 2014. This became possible through a transfer of shares. Berkshire Hathaway exchanged the shares it held in P&G for ownership of Duracell. Duracell started because of the partnership of Philip Rogers Mallory and Samuel Ruben and businessman Philip Rogers Mallory. They started the business in Burlington, Massachusetts, United States and in 1924 they relocated to Indianapolis, Indiana, in 1924. They specialise in making mercury batteries for various military equipment. In the 1950s Kodak introduced analogue cameras that use flash. Their equipment needed new cell size batteries thus the AAA batteries were developed. Today Duracell is one of the most recognisable battery brands in the whole world and their batteries are being used for various things such as toys, clocks, remote controls, and more. You can practically buy Duracell batteries anywhere. Get them from supermarkets, convenience stores, and online. Duracell batteries come in various sizes and energy output capacity. You can find a wide array of Duracell batteries for sale online including Duracell AA batteries and AAA batteries Duracell offers here at Latest Deals. From cheap Duracell Ultra Power 9v for your special gadgets and toys to Duracell industrial AA batteries, we’ve got all your needs covered. These batteries can definitely last a long time and this will eventually save you more money in the long run. 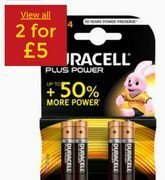 Our community of bargain hunters are always on the lookout to find the best cheap Duracell sale, special offers, discounts, and price drops from major UK retailers. We also have a team of money-saving experts who regularly share essential tips and tricks that will be able to help you save on your instore and online shopping. Take advantage of low prices on Duracell Ultra Power AAA, Duracell Ultra rechargeable, Duracell AA batteries 12 pack, and more. There are lots of different kinds of batteries out there but nothing can compare to Duracell batteries. Use them for your toys, radios, clocks, and so much more. Duracell batteries are high quality products that has a very large energy output capacity. They are simply one of the best battery brands today. Most online UK retailers have sale events, seasonal clearances, and flash sales where you can get up to 40% off on a wide selection of cheap Duracell batteries. There are even 3 for 2 offers that can provide you with a lot of savings as well. Watch out for their Black Friday and Boxing Day deals where their prices are reduced even further. If you want to maximise your savings, make sure to use the latest Duracell discount codes we have here. 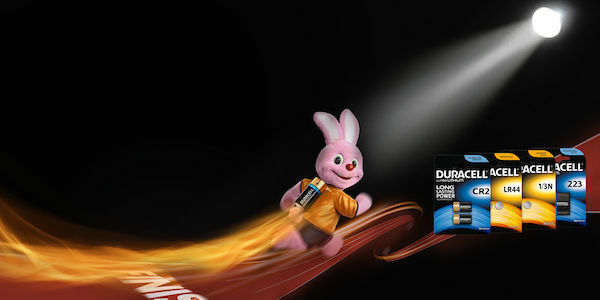 We also have Duracell voucher codes where you can get freebies or free shipping. Take advantage of the product bundles that are being offered and use your savings to buy additional items. When buying online, make sure to double check your orders before paying for them. Duracell batteries come in various sizes and energy output capacity. Make sure that you order the right one to avoid having them replaced or refunded. PowerCheck is the power indicator bar on Duracell Ultra batteries. When you press the white dots on the battery it shows how much energy is left inside the battery. AA. These are the most common battery sizes available. They are mostly used in remote controls, clocks, and other similar devices. AAA. These kinds of batteries are used for toys and portable medical equipment. They are smaller compared to AA batteries which limits their energy capacity. C and D batteries. These batteries are bigger and have a larger energy output. They are mostly used for flashlights, analogue radio, and more. 9V. These are also used for remote control toys such as cars, planes, and boats. This kind of battery has a rectangular shape. AAAA. These are primarily used for penlights, pagers, and blood glucose meters. J size battery. These are used for photographic strobe flash units and hospital devices. Button battery. This kind of battery are used for watches, hearing aids, calculators, and more. NiMH rechargeable batteries. These are specialty batteries that are used for digital cameras, watches, and more. They are long lasting and can provide a significant amount of energy needed for its purpose. Long-lasting. You do not have to replace them too often because they have a substantial amount of energy to serve its purpose. Affordable. Unlike other kinds of battery brands. Duracell batteries will not cost you too much most especially when you buy in product bundles. Have lots of sizes available. Whatever battery size you need, Duracell has it. You do not have to shift to other brands just to get a specific battery size. Will not cause damage to your device or equipment. All Duracell products have gone through quality testing to ensure that they provide the right amount of energy output for any kind of device.